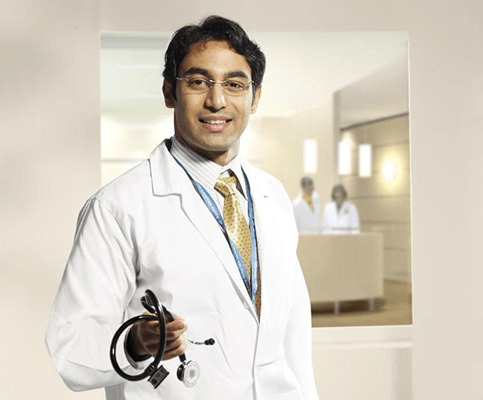 Liver surgery comprises various operations of the liver for different disorders. The most common operation performed on the liver is a removal of a portion of the liver that becomes diseased. The most typical reason for liver resection is a tumor which is malignant. The single tumor or more than one tumor confined to either left or right side of the liver can be successfully resected with good survival rates. Liver resection patients are carefully evaluated by a multidisciplinary team to ensure the absence of the extrahepatic (outside the liver) tumor. Liver resections performed on patients with extrahepatic disease may relieve the symptoms caused by the tumor, but offer little improvement in survival. Benign tumors of the liver (cyst, adenoma, hemangioma) can be successfully managed by liver resection as well. If the location of a benign tumor is superficial and small in size, the operation can be performed laparoscopically (by making small punctures in the abdomen while viewing through a video camera). Liver resections are also performed on people willing to donate part of their liver to a loved one (see live donor liver transplant). A liver resection takes approximately 3-5 hours and can be performed without the need for blood transfusion (see bloodless surgery). Up to 75% of the liver tissue can be safely removed. The hospital stay is about 5 days and complete recovery occurs in 5-6 weeks. The resected liver regenerates to its preoperative size in 6-8 weeks. Excellent results from liver resections are usually achieved. The bile duct system and gallbladder (collectively known as the biliary tree) are involved in the drainage and delivery of bile from the liver into the intestine. Bile production is one of the most vital functions of the liver and it is necessary for the appropriate absorption of nutrients from the intestine. Disorders of the biliary tree can alter this function. The gallbladder is located underneath the liver and the bile duct extends from inside the liver into the duodenum (initial portion of the small intestine just past the stomach). The bile duct has an extrahepatic portion (outside the liver) and intrapancreatic portion (within the pancreas). The most common disorder of the biliary tree is cholelithiasis or gallstones. Gallstones are usually located in the gallbladder and, if symptomatic, can be removed laparoscopically (without open surgery) along with the gallbladder. There is a 1 to 2 day hospital stay after this operation and full recuperation time is about two weeks. The presence of gallstones can be complicated by acute pancreatitis (see pancreatic surgery). The biliary tree can be a site for the growth of malignant tumors. In this case the removal of a portion of bile duct may be necessary. Depending on tumor location, complete removal of the tumor may also involve concomitant resection of the liver (see liver surgery) or pancreas (see pancreatic surgery). Certain diseases of the biliary tree (i.e. primary sclerosing cholangitis) may also injure the liver and progress to end-stage liver disease. In such cases liver transplantation may be the only option (see liver transplantation). 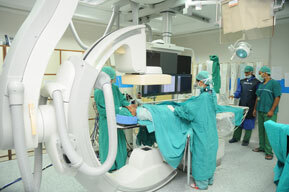 Operations on the biliary tree can be done very safely and usually without blood transfusion (see bloodless surgery). If major resections of liver or pancreas are involved, the operative time is about 3-6 hours. The hospital stay is about 7 days and full recuperation time is about 6 weeks. Under most circumstances, excellent outcomes are usually achieved. The liver filters venous blood from abdominal organs. Portal hypertension is increased blood pressure in the veins of abdominal organs. The primary vein that carries blood from the abdominal organs to the liver is called the portal vein. When this vein clots or when the liver develops scar tissue from disease and compresses the vein, the blood pressure in the vein goes up and portal hypertension develops. Blood backing up in the veins of abdominal organs causes typical signs of portal hypertension such as ascites to develop. Ascites is free fluid in the abdomen caused by blood being under high pressure and some of its liquid portion squeezing through the vessels and settling in the abdomen. Hypersplenism is an enlarged spleen caused by blood congestion and increased destruction of blood cells due to spleen hyperactivity. Gastrointestinal bleeding (bleeding into the stomach) results from rupture of varicose veins in the stomach and esophagus (swallowing tube). Varicose veins form a collateral venous network for the blood to escape into an area of lower pressure. Portal hypertension can be accompanied by good liver function with good production of all necessary proteins. In such instances liver transplantation is not indicated (see liver transplantation). For long-term management an operation called portal vein shunting can be considered. During this operation the surgical connection between the portal vein or its branches and the vena cava (low-pressure vein caring blood from lower extremities and kidneys to the heart) or its branches is created. This allows blood from the portal vein to be redirected into the vena cava resolving the portal hypertension. This operation can be performed in selected patients with excellent long-term results.